We are excited for our new promotion to advertise in our community. Watch for another location in a couple of months! 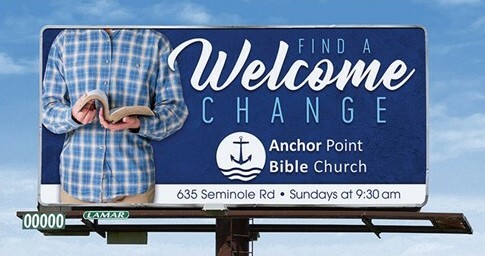 Invite someone to Anchor Point Bible Church soon and find a welcome change!